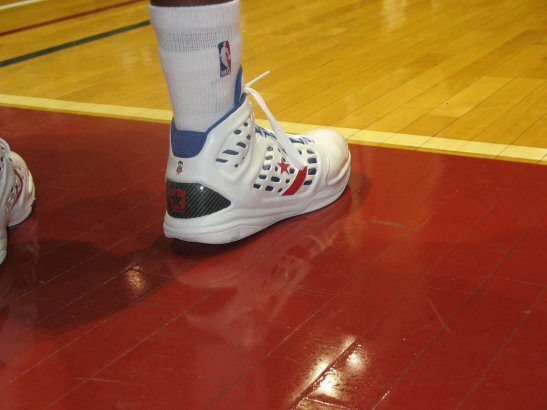 Team Converse member Lou Williams was out hooping in the Battle of I-95 last night for Team Philly who got the win over Team Melo, that featured Carmelo Anthony, Chris Paul, and LeBron James. 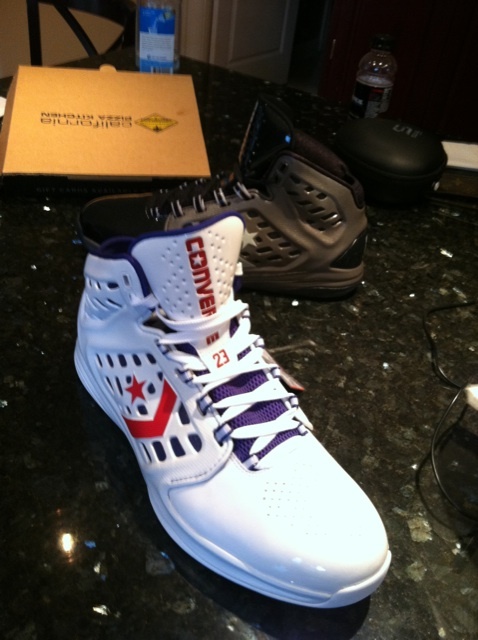 These are the shoes that Lou played in last night, the new Converse defCON in a White/Red/Blue player exclusive colorway. You can also see a black/black colorway in the first picture. The second picture is from Tony Manfred who has a great recap with pictures over here, check it out.